Basket Weaving - Hobsess - Get Ready to Start Your New Hobby! Basket weaving or basketry is the process of using natural materials to create a basket or other useful containers. There are as many types of materials as there are shapes and sizes of baskets. Baskets make fantastic gifts or can be sold for profit. As you start exploring, you will find affiliate links on this page. Thanks for the support! Here is Basket Weaving 101 taught by Darlene, an art teacher. See if this hobby is for you. 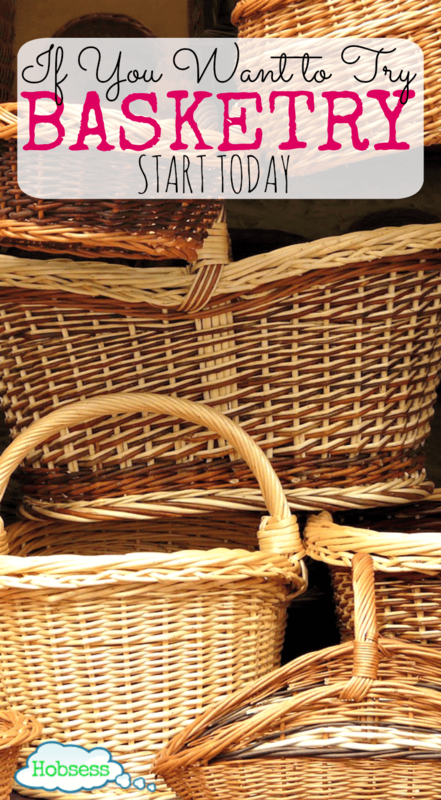 Start out with a kit to see if you like making baskets. When you are ready for your own materials to make more baskets. Are you just getting started or are you an expert? Get involved with others who share your interest and/or passion in basketry. Join the National Basketry Organization! Go to this Basket Weaving Board and click Follow. Follow Hobsess (Rev Crouse)’s board Basket Weaving (A&C) on Pinterest.